You may know soccer (or perhaps you call it football) as “the world’s sport” and”the beautiful game.” Now combine these ideas: How could you make the world more beautiful through the game? There are many ways to use this sport to create a philanthropy opportunity with your family. In honor of the World Cup, here are some ideas to get the ball rolling (so to speak). May your World Cup runneth over with opportunities for good! Philanthroparents see the value in developing character traits that go hand-in-hand with volunteerism. Lessons discovered through teamwork and sportsmanship could be worth discussing and reinforcing. These conversation starters might prompt the kind of meaningful dialogue that leads to a service idea. The World Cup is an excellent opportunity for crowdsourcing. If you’re planning to gather together to watch a game, how could you reframe it to benefit others? Your child could rally their own sports team around The World Cup. Collect sports equipment for an organization that supports underserved youth in your area. Host a foosball tournament with entry fees that go towards a sports-based charity. Don’t have the means or space for a foosball table? How about a mini table top foosball tournament with these 20 inch tables? For older kids or adults in your life who are willing to wager, have them predict the outcomes for the remainder of the teams/games in the tournament. Each person in the pool can fill in their own brackets, but collect donations instead of bets. Sports-minded charities address a multitude of issues: leadership and empowerment through sports, disabled athletes, equal opportunity and access to sports, to name a few. Here are a few key players related to The World Cup this year. FIFA has partnered with streetfootballworld. They aim to unite and support organizations all over the world that are promoting social change through football. This organization is a great way to see the host of ways people are igniting change through the beautiful game. Support a social issue within the region or host country where the tournament takes place. Or, choose a cause that is important to one of the participating athletes. Brazil player Neymar Jr. (partnering with Waves for Water and PayPal), has helped initiate a campaign that addresses the lack of access to clean water within underserved communities in Brazil. Check out the #TeamUNICEF campaign reinforcing that “All children have the right to play regardless of their background/abilities/gender.” They provide two soccer balls in their recreation kit, noting that sports and play can be an effective therapy for trauma when children encounter disasters and violence. The World Cup is underway until July 13th, but the values of teamwork and sportsmanship and how they intersect with philanthropy, along with sports-based charities, will continue on. If you have a sports fan in your family, how can you reframe these ideas to make a difference year-round? 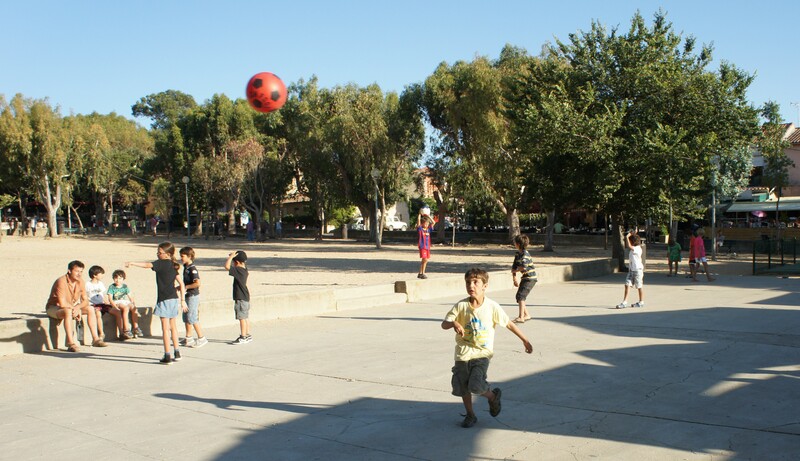 Posted on July 1, 2014 by Marissa Nadjarian •	This entry was posted in Activities, In Our Virtual Reality, In the Community, Resources, Social Change and tagged #football2me, #w4wpaypal, #WorldCup, @sfw_tweets, @teamunicef, family, parenting, Philanthroparent, philanthropy, summer service. Bookmark the permalink.